Posted May 28, 2011 by grohling & filed under Archive, Events. Abstract: The operations of a total arithmetic can be applied to any numbers with the result being a number. Such arithmetics have no arithmetical exceptions so they can be executed in a pipeline without stalling. If a program’s inner loops can be unrolled to an inline program then that program can be executed in a pipeline with a number of program runs completing each clock tick. In a practical molecular dynamics problem, 500 atom-atom interactions were computed each clock tick in a simulated 2M core machine. The talk will begin with an introduction to transreal arithmetic and show how it can be implemented in both integer and floating-point arithmetic, with special emphasis on IEEE floating-point arithmetic. 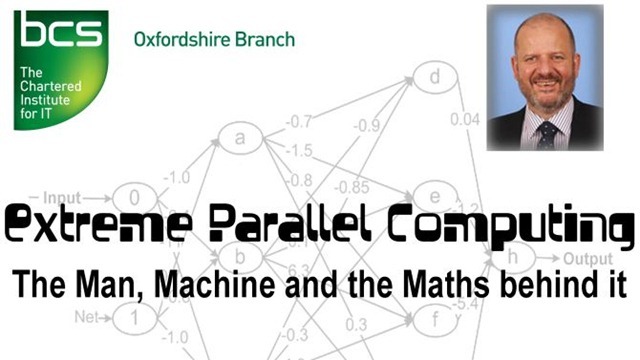 Transcomplex arithmetic, and its application to the solution of physical problems, will be discussed very briefly, before showing how to exploit the arithmetics in a massively pipelined machine. The event is free and both members and non-members are very welcome. Reservations are not required. In addition to the normal sandwiches strawberries, cream and wine will be served from 7:00pm. The lecture starts at 7:30pm. Posters to advertise this event at your place of work are available for download. Please help us promote the event by letting others know!